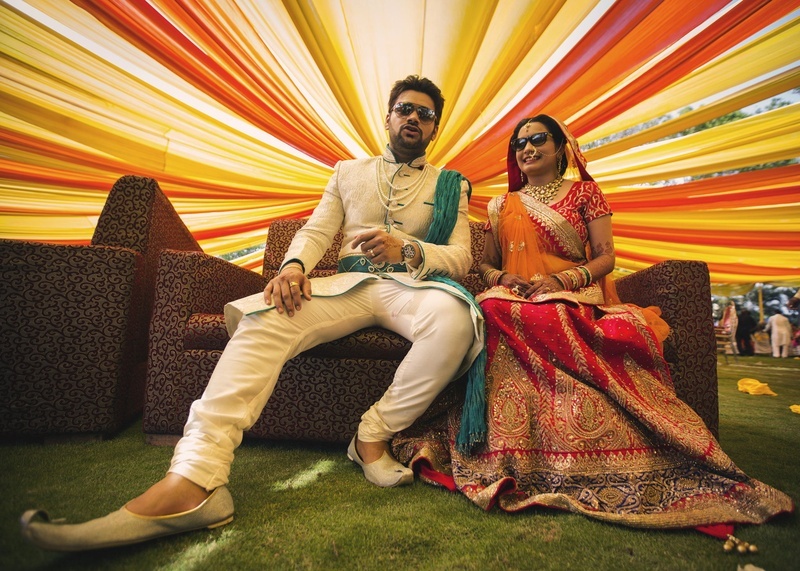 What happens when a Marwari Beendni and a Maharashtrian Navra get together?! 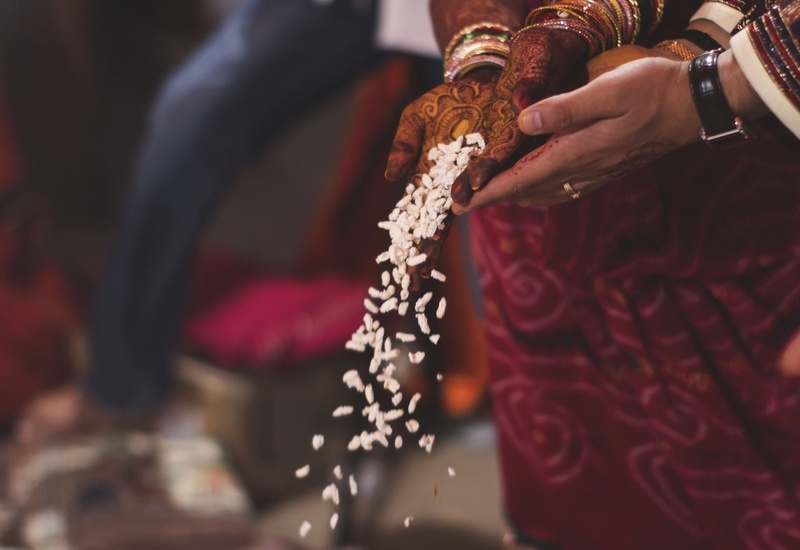 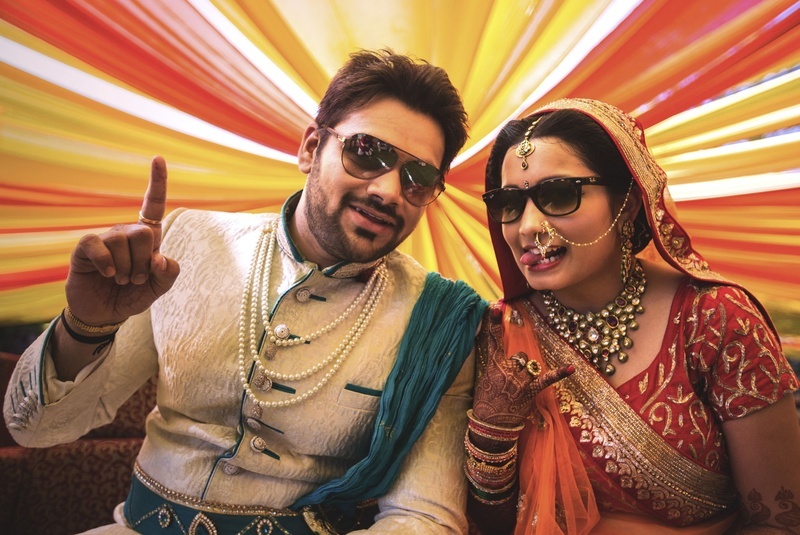 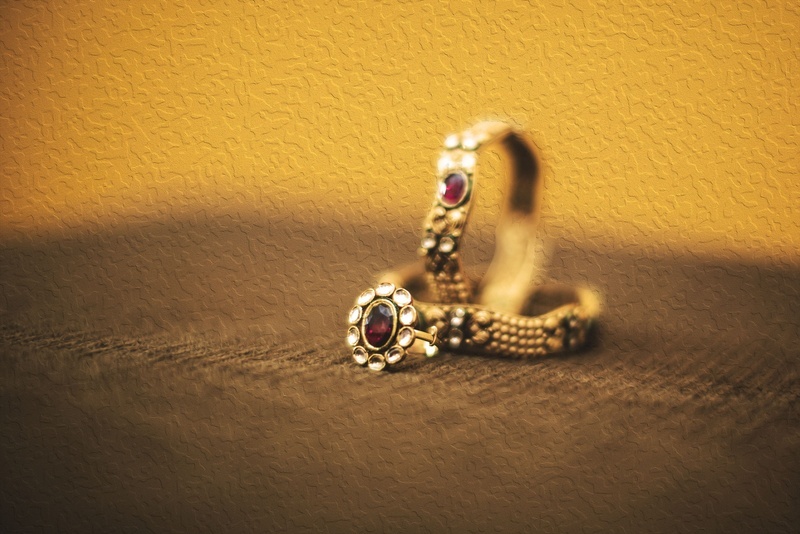 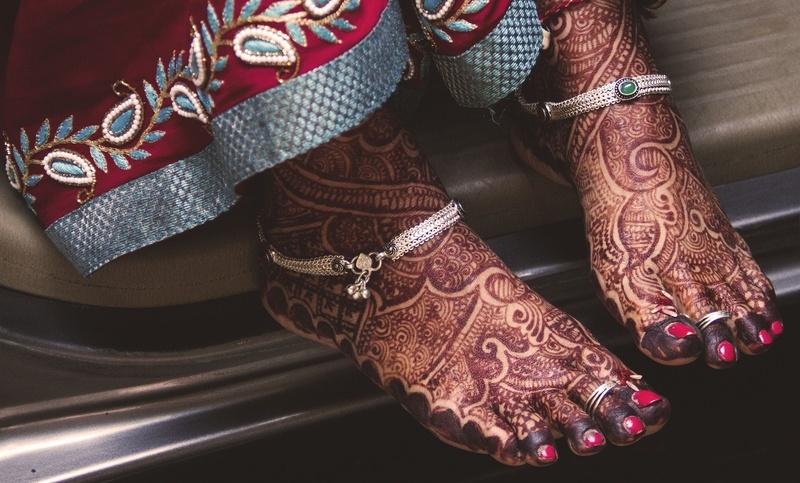 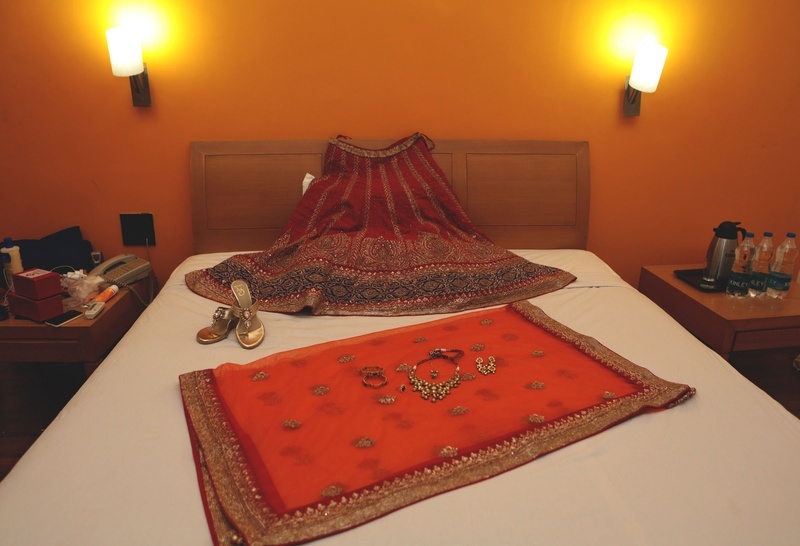 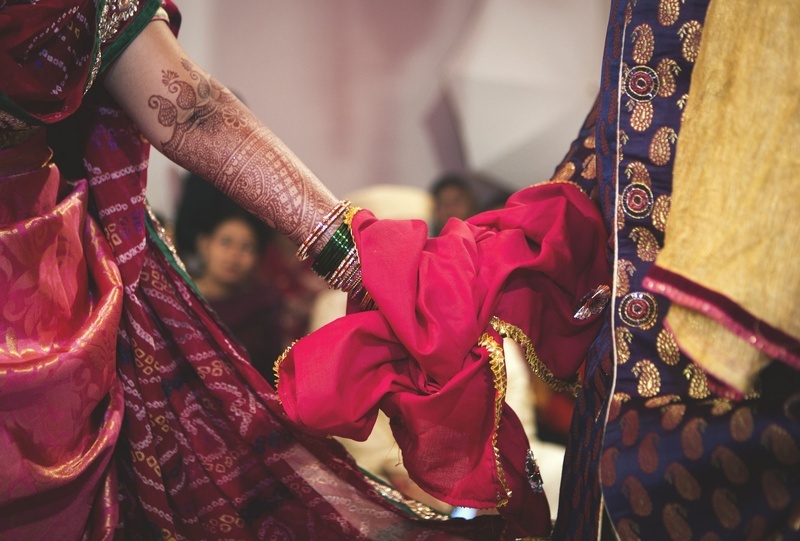 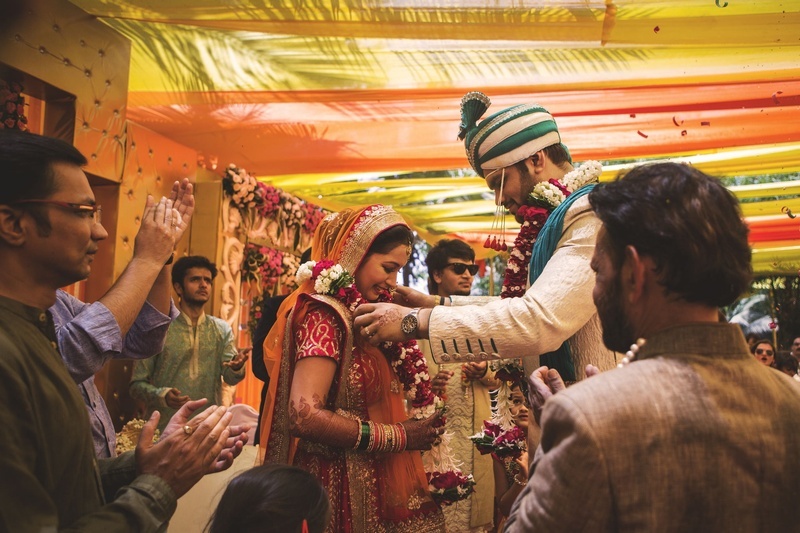 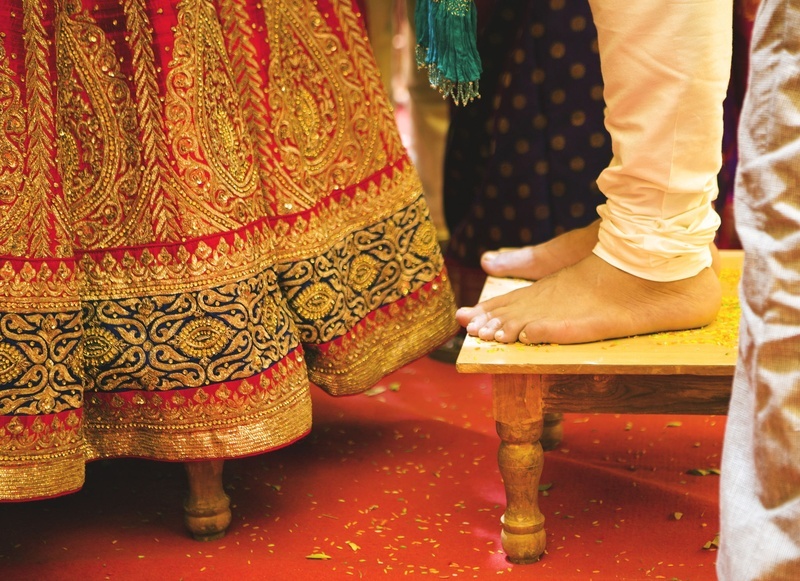 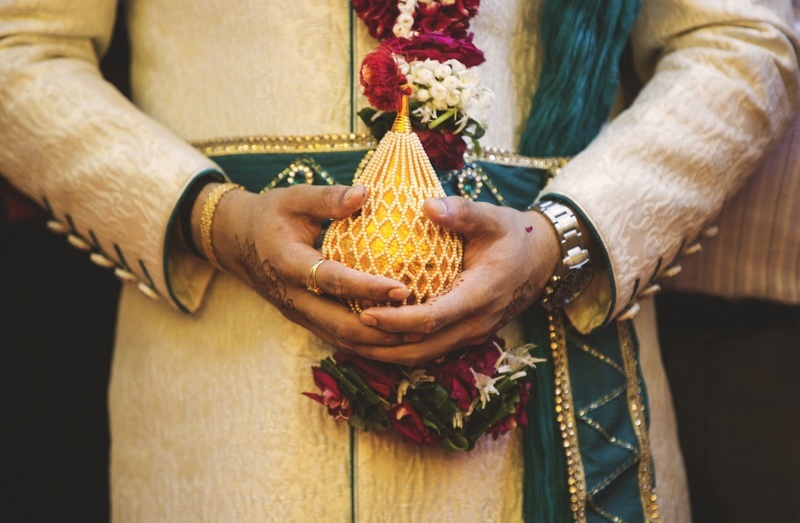 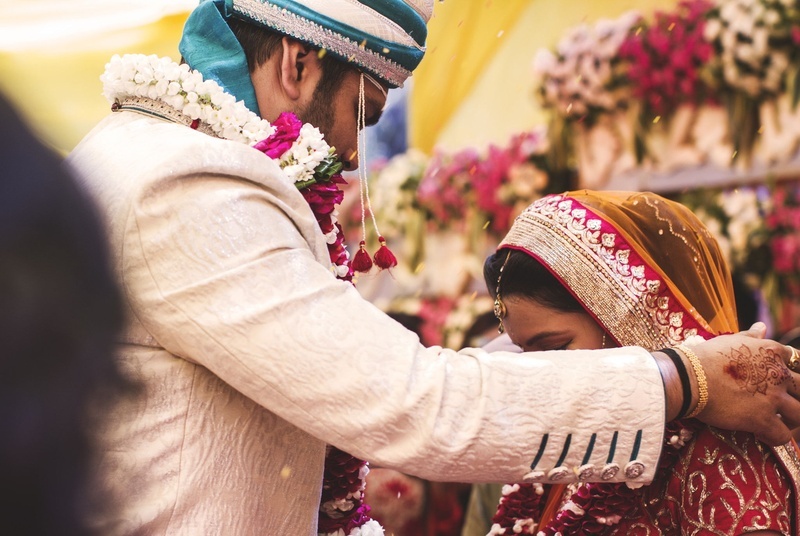 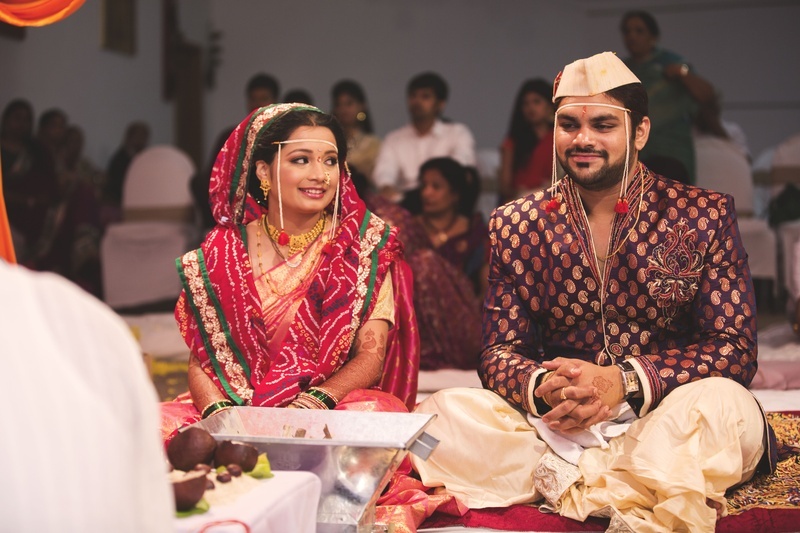 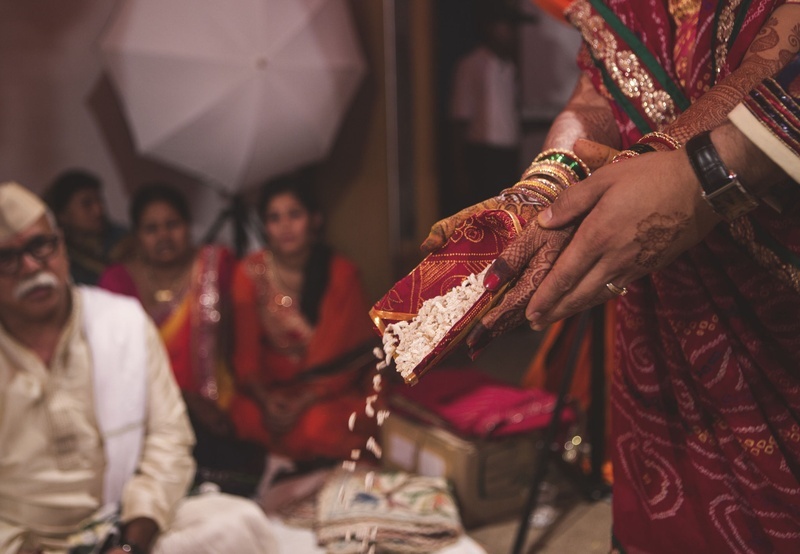 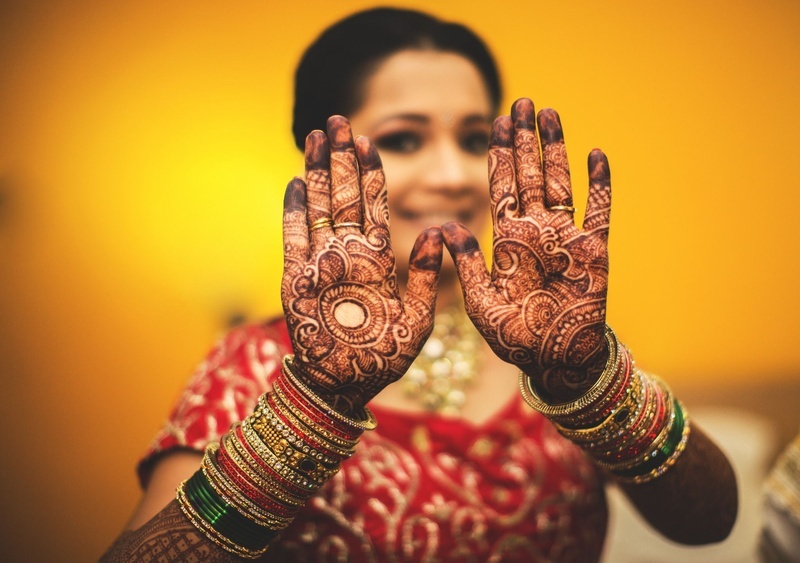 The marriage atmosphere becomes crazy, numerous rituals bring exclusivity and you get an opportunity to get married royally in two distinct styles. 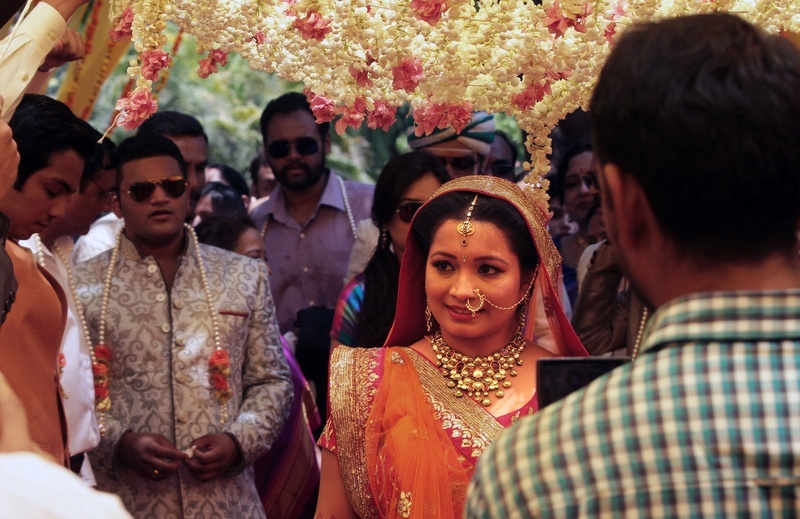 It so happened that Abhijeet took a wrong turn and lost his way to the venue, as he was busy admiring the bylanes of Silvassa. 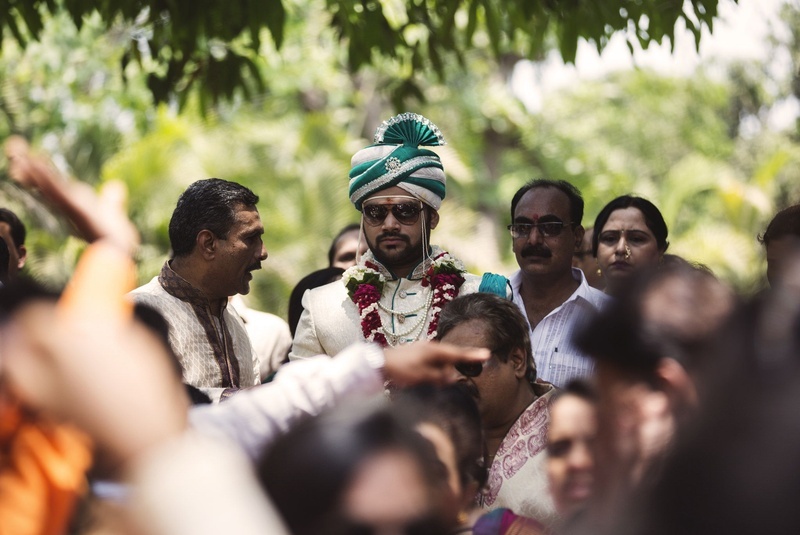 Citing it as the most embarrassing moment of the wedding, he arrived 40 minutes late to Ras Resorts - The wedding venue. 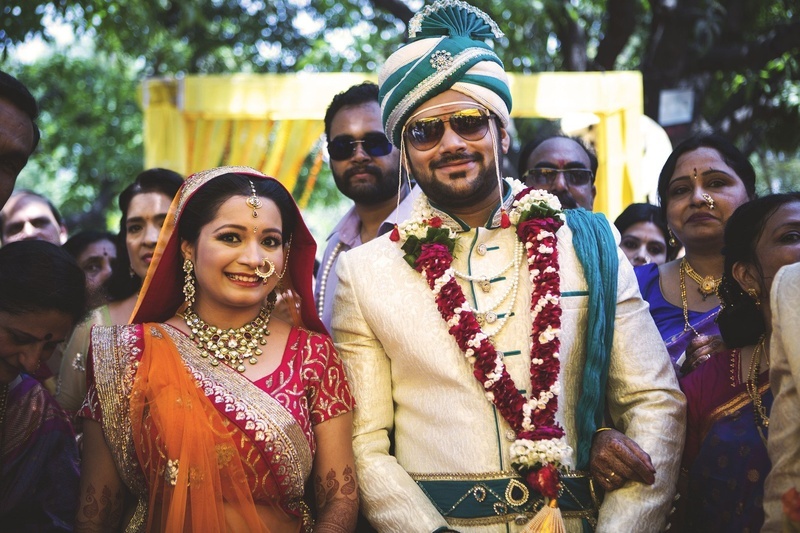 A grand Nasik dhol tasha with lezims welcomed him and was an atmospheric changing moment after the hectic day he had. 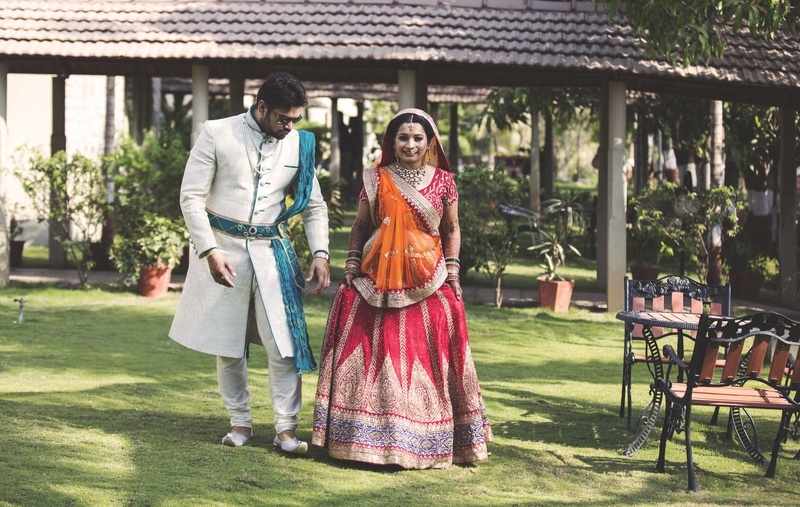 He quickly dressed up in his off-white and gold sherwani, designed by his mother and aunt with a turquoise dupatta and a waistbelt. 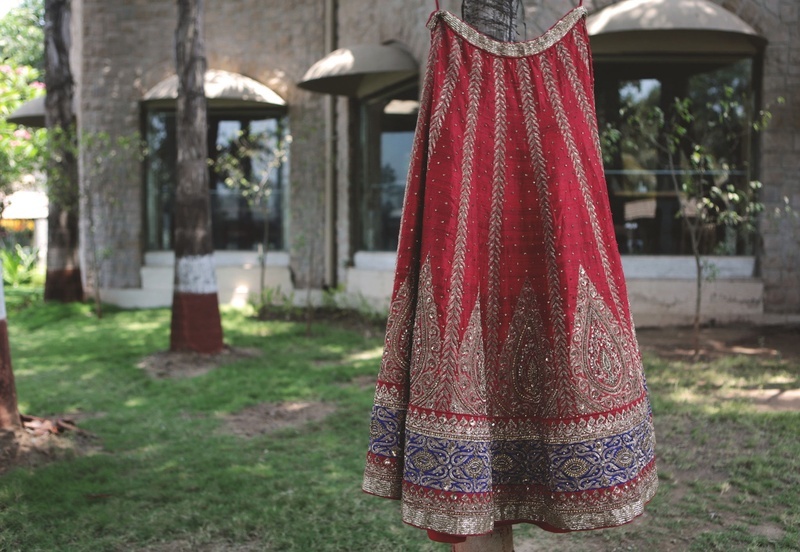 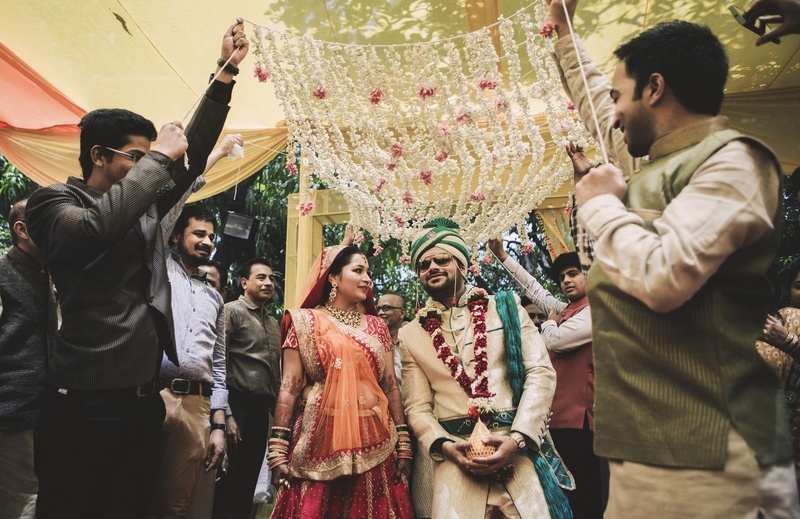 Wearing an intricately embroidered red lehenga with an orange sheer dupatta, a bright smile returned on Shweta’s face as soon as she saw him in the barat. 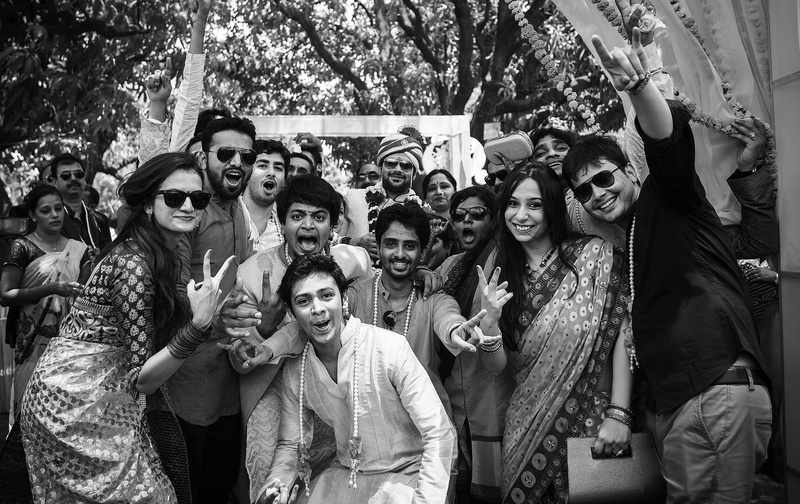 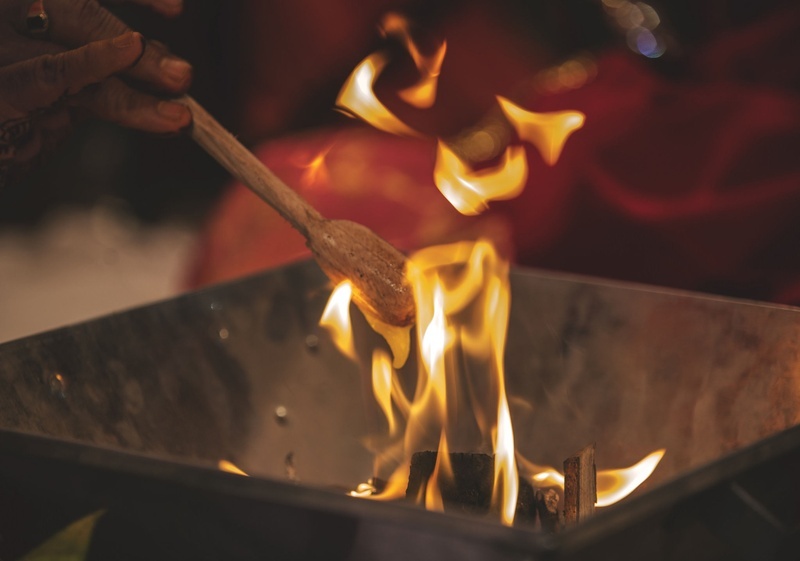 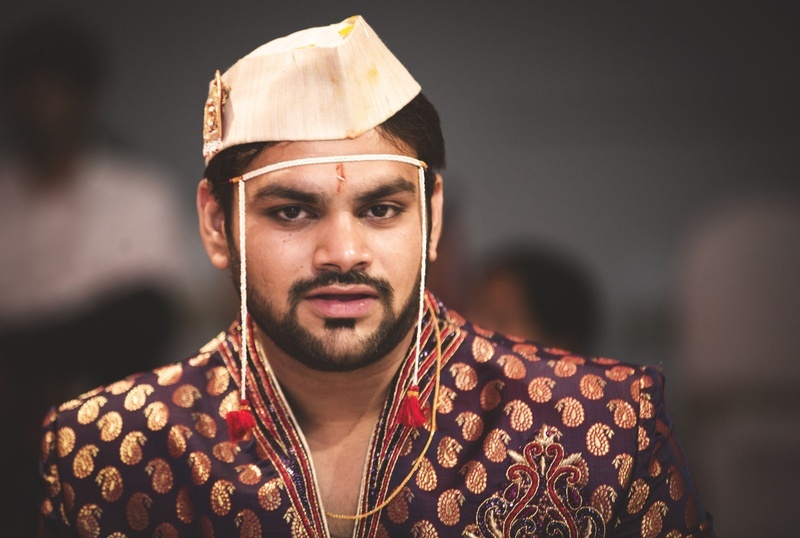 Seemant Poojan began immediately after the groom and his entourage entered the resort. 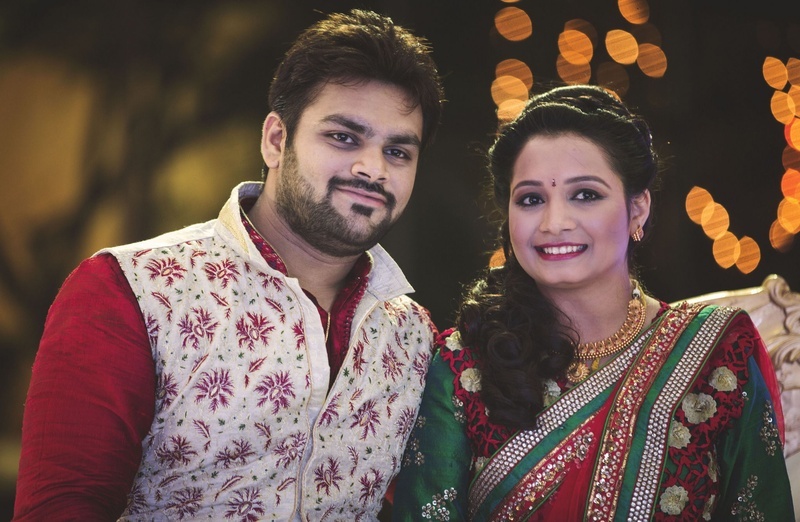 Shweta looked stunning draped in a traditional red bridal saree. 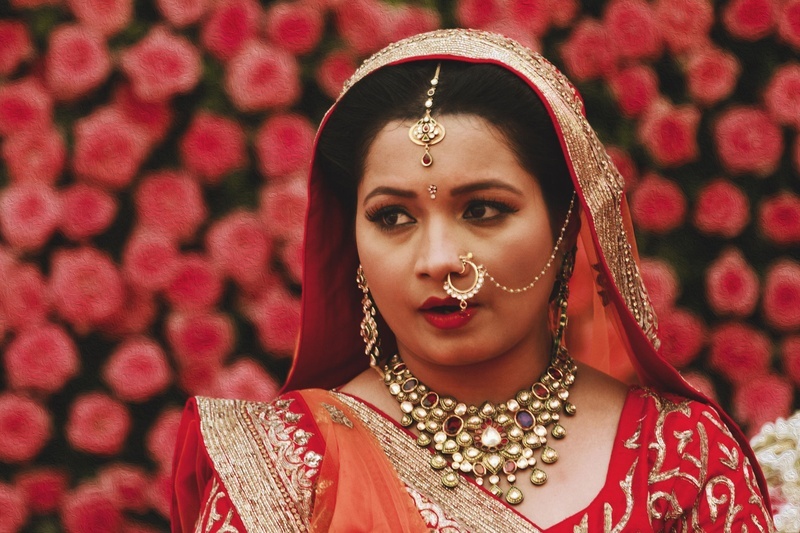 She accessorized herself with minimal gold jewellery that included earrings, necklace and a delicate nath. 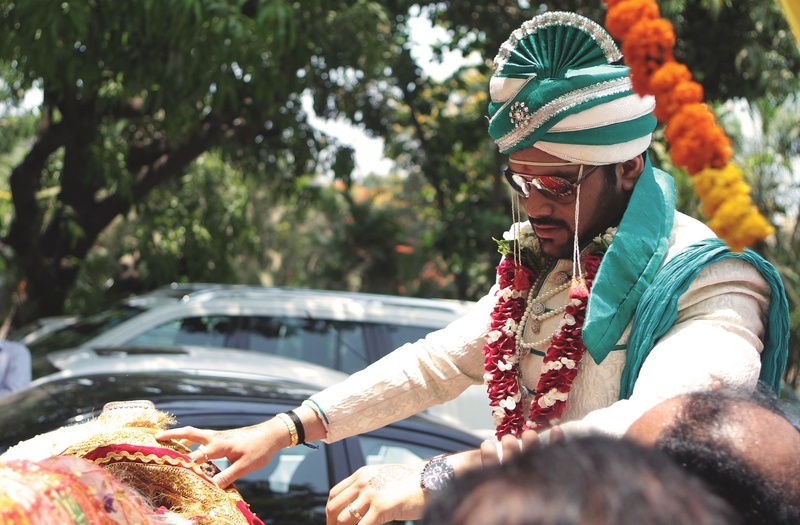 Abhijeet wore a thin mundavalya and a Gandhi topi on a violet brocade sherwani and looked like royalty. 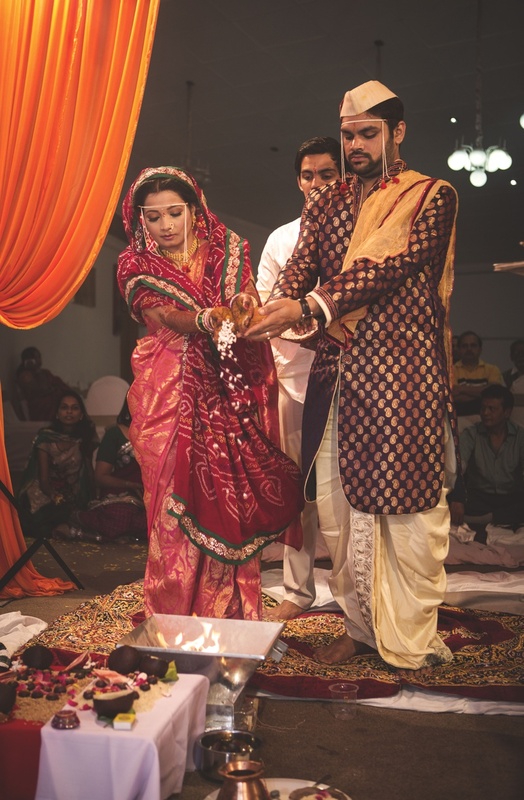 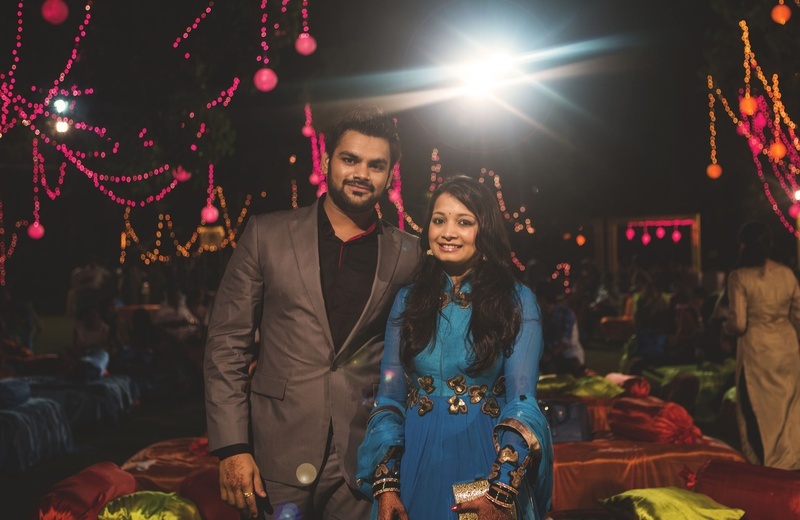 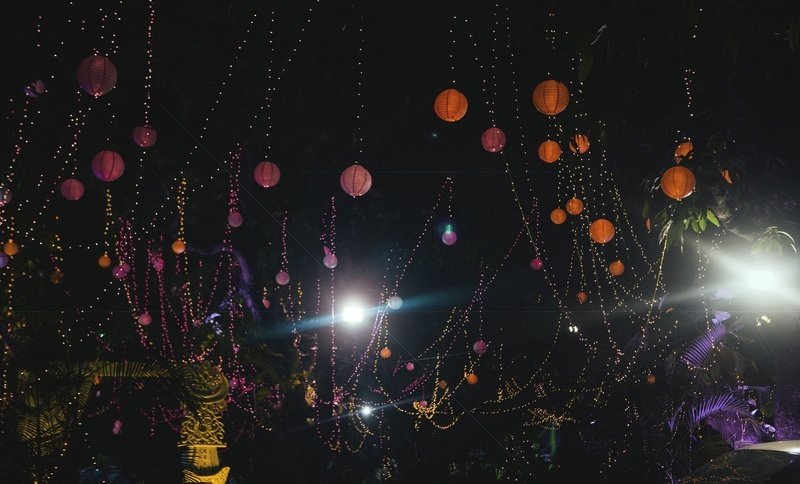 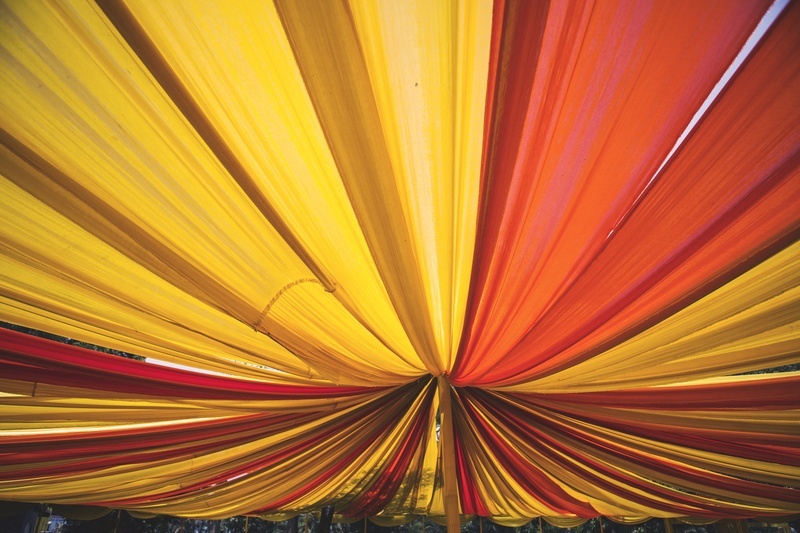 The highlight of this wedding was the Sangeet Ceremony. 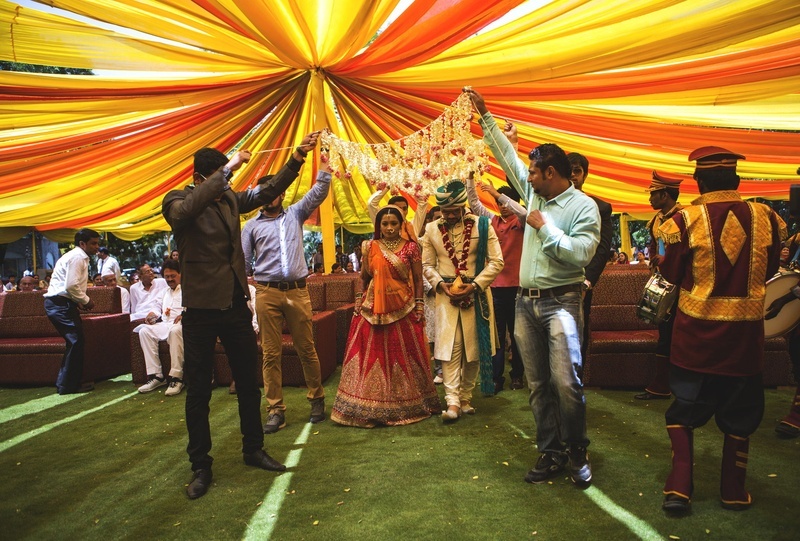 The groom prepared a surprising act just for the bride and went Bollywood with the song - Tera Dhyan Kidhar Hai, Ye Tera Hero Idhar Hai! 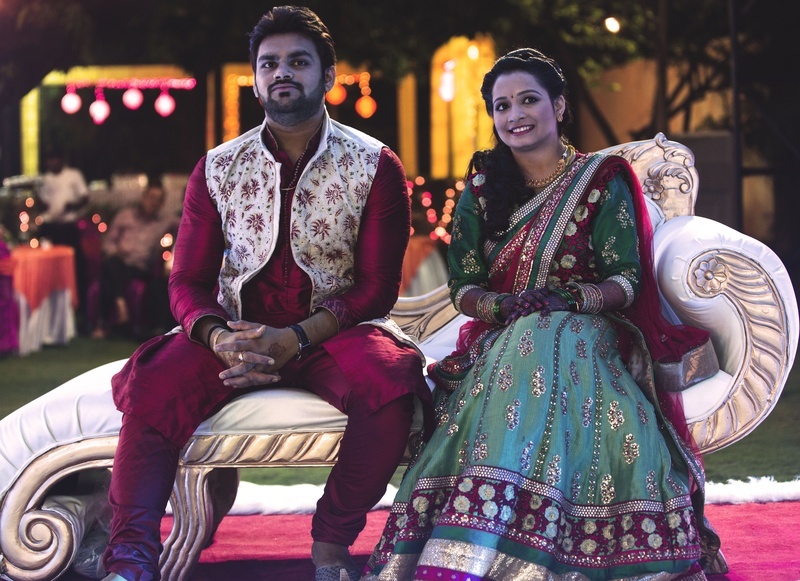 He wore an embroidered jacket on a glossy red shervani that complimented with Shweta’s turquoise red lehenga just perfectly. 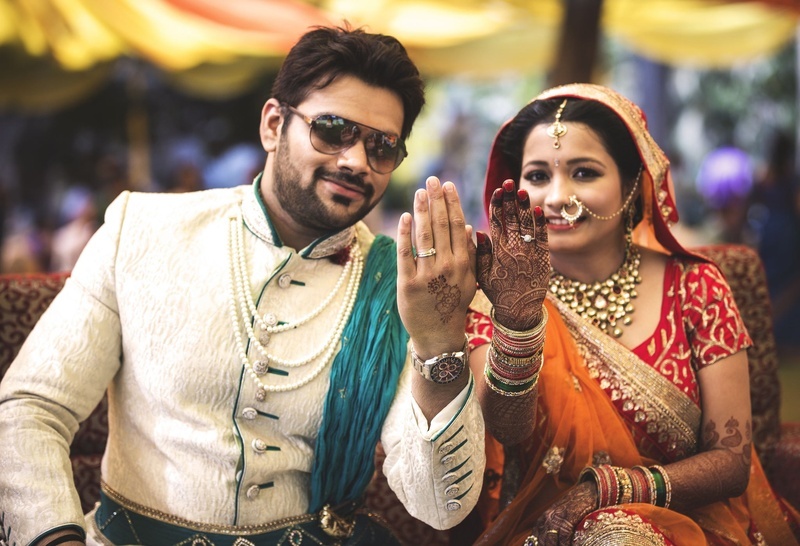 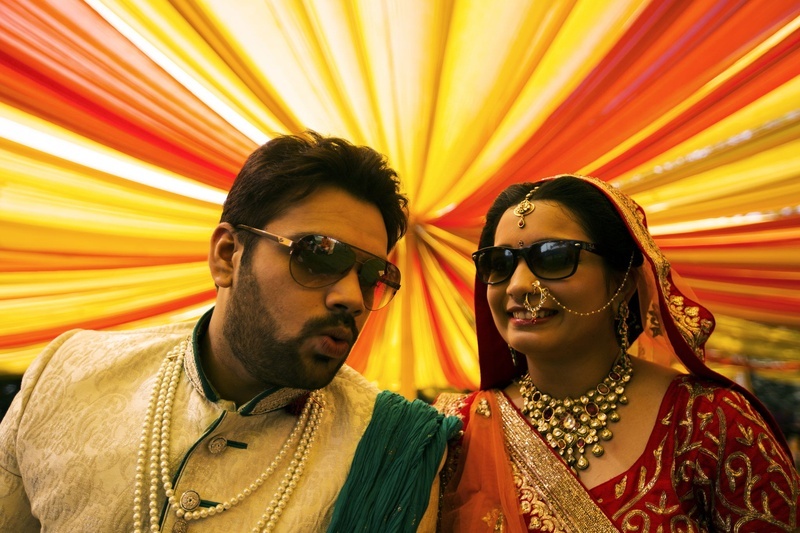 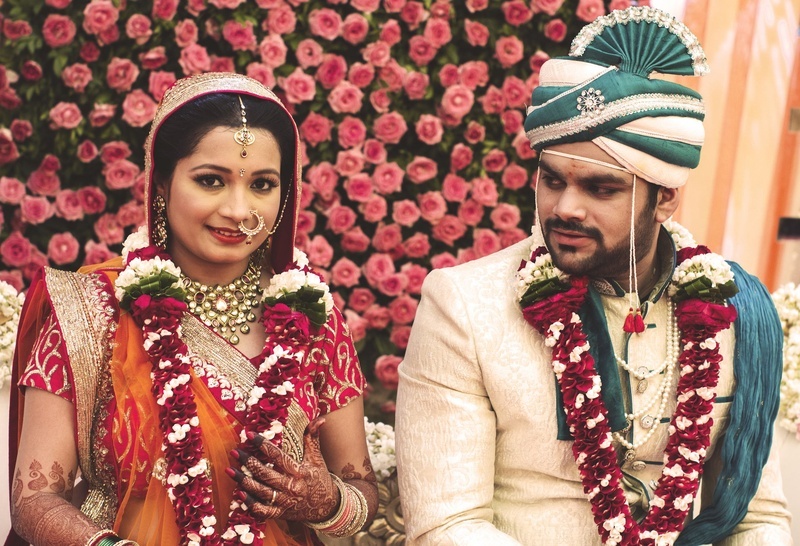 Mithilesh Choubey Fotografia captured this stunning wedding just perfectly!